Above is a photo taken on Saturday, the road in question is Mitchem Road (A236) in Croydon. To this date there is still no reason why this cycle lane should be closed, a positive side to this, it has solved the issue of the door zone which Croydon Council is not interested in changing. I do find the ‘NO PARKING THIS SIDE OF ROAD’ rather amusing, not only is the grammar rather poor (coming from someone who is dyslexic) but there also isn’t any chance of parking on the other side of the road as it has been dug up. 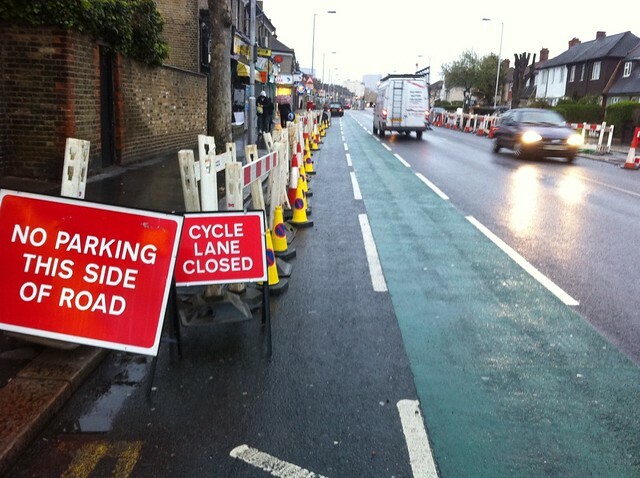 This image was taken only days before on CS7, further up the road are some gasworks which have caused the road to be narrowed on either side which means that cyclists and motor traffic can no longer co-exist. Previous PostPrevious You want to join our gang, get on your bike! 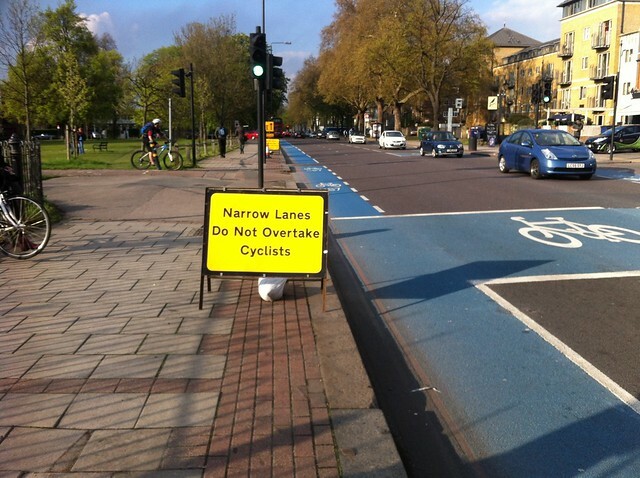 Next PostNext Red Lights – Is it safer to ride through?